Junior Baseball Grab Bag! 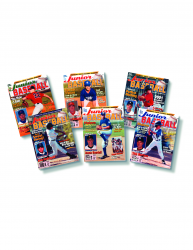 6 Print Back Issues -- FREE SHIPPING! We choose 6 print issues from our archive and send to you with FREE SHIPPING!